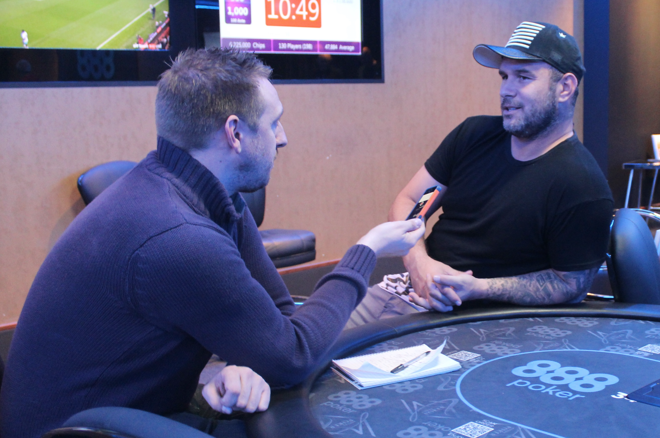 Former professional footballer Steve Watts mixes work and play with poker. Steve Watts has always been one of poker’s more interesting characters. When the former professional footballer’s career on the field ended, he moved into poker, using the same disciplines that helped him find the back of the net for Leyton Orient to develop his game. In 2013, he was Britain’s brightest hope at the WSOP Main Event, finishing in 59th place for $123,597. That experience was taxing for Watts. "You’re so tired; you get no sleep. When you get back to your room at 1:00 a.m., it’s 5:00 p.m. back home," he said. "Everyone wants to know how you’re doing. By the time you get any sleep, you’re up again. It’s early; you’re buzzing. You’re tired but adrenaline keeps you going." 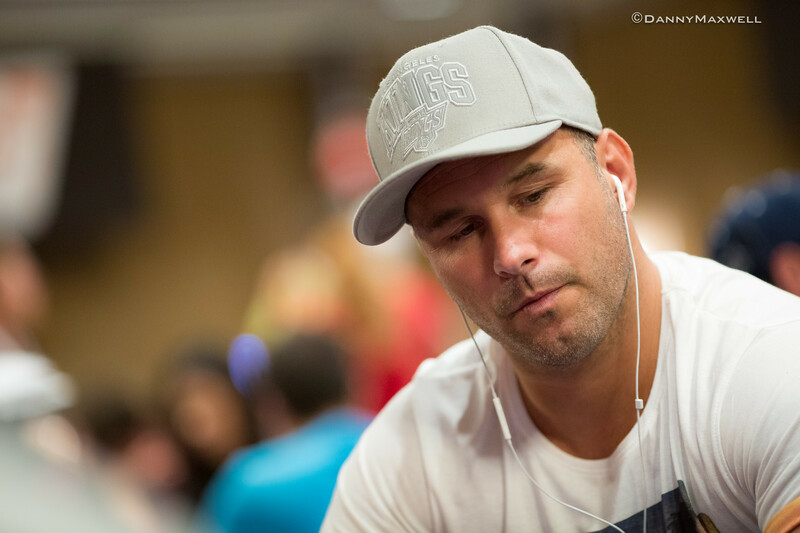 Watts made it all the way to the final seven tables, 50 away from the November Nine. But he hasn't gotten close since. "You can never win that much money and feel on tilt, even though you’re thinking that if you hit in your final hand, you’d have doubled that money," he said. Watts said people get scared looking at the clock in the World Series. "You can pick on them because they’re thinking about the money," he said. "If you’re down to the last 30 of the World Series, sometimes you might dwell your hand on each street to see if someone gets knocked out before you." Watts said you have to avoid those thoughts. Play to win. When you finish, you finish. Watts talks the way an older man talks to his younger self. For the recent father, life has now completely changed. When his daughter Willow came along, his life and money began to mean something different. His eyes light up like a fruit machine when the jackpot is won as he talks about her. “Everything’s different," he said. "Our last holiday was so much fun for her and Willow being happy just makes us [as parents] happy. It’s exciting to buy her a boat to go in the water and she loves everything." He's also discovered that being a parent means changing your idea of what your plan is often. "The only frustrating thing is going out like we did for a nice Japanese meal and thinking Willow might sleep - no chance! You can’t have a romantic meal with your wife or an actual conversation. We sat down for the only meal Willow was asleep during and in the middle of the meal, she woke up and starting throwing food around." Just like her father, then. So does the apple of his eye fancy becoming a footballer or poker player? Or will she sing like Steve’s wife, a music teacher who helped develop Louisa Johnson, the artist Steve managed on her way to winning Britain’s X Factor in 2015? "I took her over the park to play football and she kicked the ball; left foot, right foot, left foot, right foot across the pitch," he said. "She was only nine months old! But since she’s born, she’s sung. We have music on all day. She loves to join in and there are songs in our house every day." When it comes to poker, Watts is the same as he’s always been. The loudest voice away from the table, but quiet under his trademark baseball cap while in a hand. He admits that the table talk faded a little as he improved at the game. “I’m backed by Team Duffy and play EPTs and WPTS thanks to Louise [Duffy] and I’ve been lucky to win some decent amounts. I’ve put that in the bank. I don’t take too many shots on my own back, but I’ve had some good online results." His more recent results suggest things will continue to look up for Watts. "I came in fourth in the Sunday Warm Up and eighth in the Supersonic," Watts said. "My results are strong compared to how much I play. One year it was off the chart. I won $120,000 in two months. At the moment, though, I’m looking at these sort of competitions under my own steam. Then I’ll go to Nottingham later in the month and play the £5k and the £2k for Team Duffy." There is only one subject that Watts is truly frustrated by. As a lifelong Arsenal fan, he is too happy to talk about his feelings about the past few seasons. For a footballer who lived to score goals, Watts can relate to the challenges injuries present. After all, one ended his professional football career. But he has little sympathy on his side. Just like at the poker table, he intimates that one should always have a plan to cope with adversity. “Arsenal has been very unlucky with injuries, but that’s why they should have a better squad and we should have a world class striker. Regarding the contracts and paying big money, Ozil and Sanchez are on contracts that if anyone comes in with more money, then they have to be moved up to join that player." He wonders whether certain players should make the pay grade. With that, the cap is straightened and Watts is bustling back to the tables. It takes him five minutes to get there because he stops to greet another friend and crack a joke, but that’s Steve Watts. Whether it's a goal for Leyton Orient or a poker title, he’s always worked hard to reach the next moment, the one where people cheer his name. Elton Tsang Wins the Big One For One Drop Extravaganza for €11,111,111!